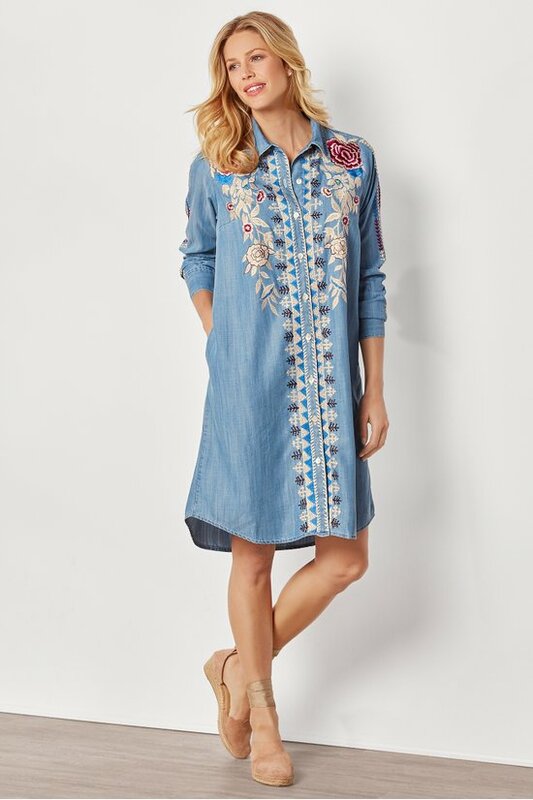 Lavishly embroidered with cascading rose garlands and decorative borders, this denim shirtdress is a versatile, all-occasion find. Classically styled with a shapely fit, pearl-button front and shirttail hem, plus practical on-seam pockets. 38"/39-1/2" long.